» Major Labor Strife: Can Soccer Players Buck the Trend of Owners Winning Collective Bargaining Agreement Negotiations? On March 6, 23 days from now, the defending MLS Cup champion L.A. Galaxy host the Chicago Fire in the first match of a year that sees two teams enter the league and the beginning of a huge new television deal. Throw in the return of United States national team forward Jozy Altidore and midfielders Mix Diskerud and Sacha Kljestan, the arrival of (albeit aging) international superstars like Kaká and David Villa, and the general increased interest surrounding soccer in the United States, and you have the potential for another high point in the slow growth of the domestic league. That is, if it starts on time. Just more than a week ago, the collective bargaining agreement between Major League Soccer and the Major League Soccer Players Union expired. Desperate to secure free agency in what it sees as the last, best opportunity to do so, the MLSPU is standing firm.1 Last month, what was supposed to be two days of negotiations between the sides turned into a single, unproductive one with the players claiming the owners refused to address the free-agency situation and failing to see a reason to continue discussions. While the two sides have resumed talks, key players are openly talking about a strike, a tactic that’s at once an effort to exert pressure on the owners and also ensure the union rank and file that all the players are serious and united. Fire captain Jeff Larentowicz and Galaxy center back Omar Gonzalez both uttered the “s” word. Toronto FC star Michael Bradley, whose return to MLS last year is still seen as a turning point for the league, lobbed a grenade: “Should we get to a point before the season where things and negotiations aren’t where they should be, we are ready to strike, and we are united as a group to make real progress in terms of the way players get treated in this league.” Galaxy defender Todd Dunivant, a senior member of the players’ executive committee who also has an economics degree from Stanford, said, “It’s a loss for everybody if that happens. But sometimes those things can’t be avoided. The players are ready to do what needs to be done to get what we feel is right.” Brad Evans of the Seattle Sounders offered, “I think at this point a strike is imminent if we don’t get what we want.” You get the point. We’ve seen this type of talk before. During the last round of negotiations five years ago, the players voted 383-2 to authorize a work stoppage if they didn’t come to an agreement two days before the season was set to begin. With the help of a federal mediator, the union and management found enough common ground to sign a deal, but it merely pushed the two biggest issues, free agency and player compensation, down the road. Half a decade later, we’re both in the same place and somewhere very different indeed. MLS finds itself in a stronger position as a league, with ownership groups paying $100 million expansion fees. It can pay Kaká $7.2 million and put Bradley, Altidore, and Clint Dempsey in the $6 million range — all enough for them to leave Europe and come Stateside. The average salary is more than $226,000. And yet, the median is just $91,827, with Kaká’s salary representing 5.5 percent of the total compensation.2 In 2014, six players made 28.5 percent of the money due to the designated player structure, which allows teams to pay up to three players as much as they want with only a fraction of that figure counting against the 2014 salary cap of $3.1 million. 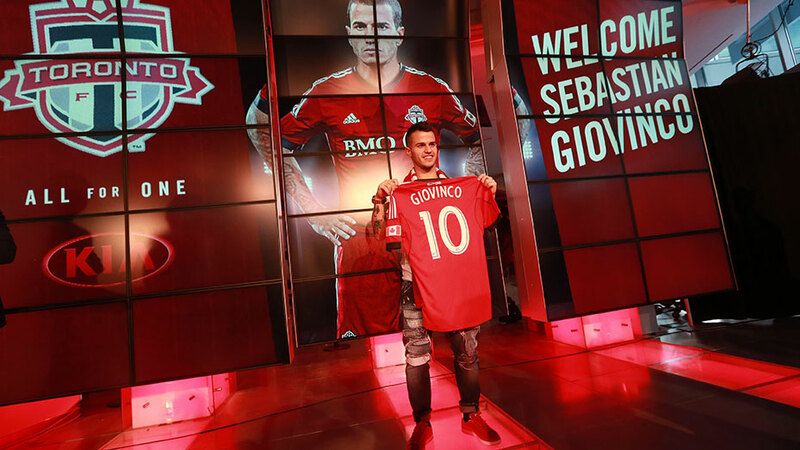 That won’t stop happening — TFC signed Sebastian Giovinco for $7 million a season, and more famous footballers could be en route — unless there are structural changes. Hence the battle over free agency, and the perception that MLS could be headed for a strike since neither side seems willing to give. The recent history of sports leagues versus labor unions doesn’t favor the MLSPU. The NFL destroyed the players during their 2011 negotiations. Later that same year, NBA players accepted a dramatic decrease in the percentage of basketball-related income they earned, a deal that wasn’t initially ruled a walkover but looks worse and worse with each passing year. Hockey players fared a bit better but still saw their total compensation drop from 57 percent of hockey-related revenue to 50 percent, a defeat no matter what other concessions they won. The MLS players have a few advantages in their favor, though. The two expansion teams, New York City FC and Orlando City, paid a combined $170 million to join the league, and their ownership groups won’t want to start their franchises with a work stoppage. Fox Soccer and ESPN, which are paying a combined $75 million per year to televise MLS (and U.S. national team games), won’t either. Public sentiment falls on the side of the players, too. It’s hard for a league that is getting Bradley & Co. to come back by (over)paying them millions to cry poor, no matter how many times commissioner Don Garber says MLS loses $100 million a year. It’s especially difficult since, before CBA negotiations began, so much of the talk from the league’s office focused on how well MLS was doing. The league needs this to be true as it fights for wider legitimacy among American sports fans, so can it just suddenly flip the script to win the negotiations? There’s also a noticeable split in the owner’s ranks. Some, like TFC’s Tim Leiweke, want to increase spending dramatically. “The league is going through a debate — the haves versus the have nots,” he said. “Are we going to count mints on the pillow and bring everyone down to the lowest common denominator? Or are we going to create a vision of what soccer can be in North America in the next five-to-10 years and challenge the system?” Others, like New England Revolution owner Robert Kraft, a man who has supported MLS from its inception, lost tens if not hundreds of millions doing so, and is only beginning to see that investment potentially turn back in his favor, understandably don’t. But the truth is that the current system allows both men to get their way: Leiweke can throw millions at Altidore, Bradley, and Giovinco, while Kraft can be more conservative (and still watch his Revs in the MLS Cup before jumping on a helicopter to the Patriots game). 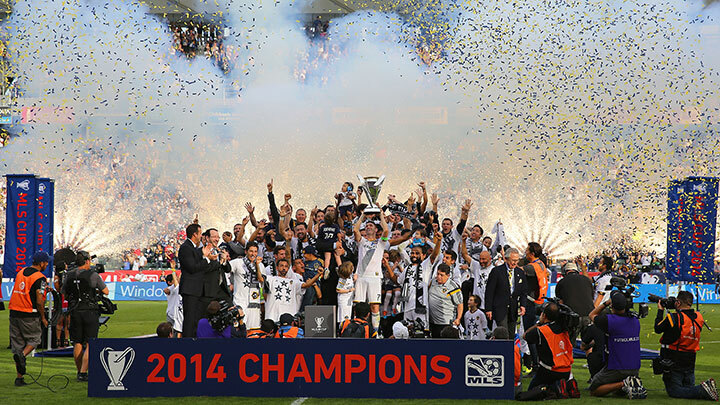 Still, if a players’ union was ever going to prevail against management, it seems like it should be the MLSPU in 2015. But it’s not likely to happen. Whether you talk to sources around the league or just think about the situation, you arrive at the same conclusion: Kraft needs MLS to play this season a lot less desperately than your average MLS player does. If MLS ceased to exist tomorrow, the owners would be disappointed. Portland Timbers owner Merritt Paulson would have to find someone else to get into Twitter fights with, but he would be just fine. The vast majority of the 500-plus players in the league, however, wouldn’t. They’d be out of jobs, unable to go to Europe or Mexico or anywhere else to play soccer professionally because they aren’t good enough or because those rosters are already settled. As the scheduled start of the regular season approaches, the union will continue to talk about staying together. “We’ve never been more unified as a group, we’ve never had a more clear kind of mission,” Orlando City goalkeeper Tally Hall said earlier this week. And that’s not untrue. But it’s also more or less meaningless. It’s the same story they pitched in 2010 before ultimately conceding. For the players, a flawed MLS without true free agency remains vastly superior to no MLS at all. This is an excellent and comprehensive review of the current structure. The highest wage earner in each of the other four major sports makes 1.1 percent or less of the total.